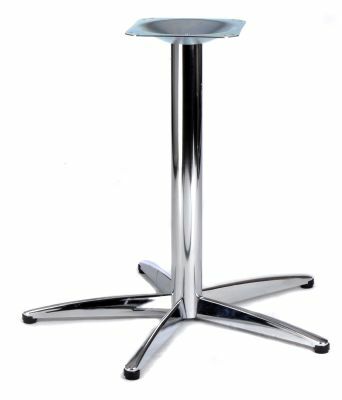 Stylish Chrome table base with a five star base suitable for use with table tops up to 1200mm diameter or 1060mm x 1060mm square. Bathroom quality Chrome finish. 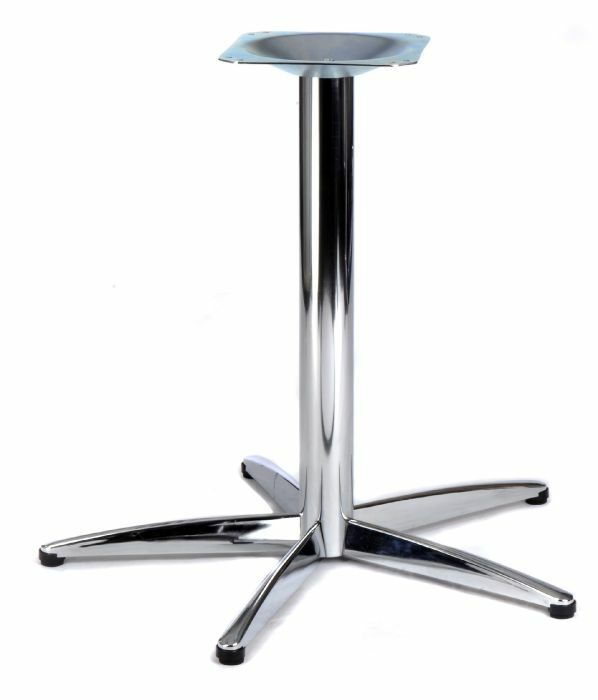 Chrome café table based with 5 large feet to allow larger café table tops and offer greater stability. These café table bases are held in stock for a 2-3 day delivery. Lincoln café table bases are delivered flat packed for self assembly. Installation is available through our national café furniture installation service. Please contact our sales team for a quotation.